Greetings wrestling fans from around the globe! This Sunday night, SCFL Pro hosts the third annual Substitute Series, live on twitch.tv/scflpro at 10:00 PM ET. The Substitute Series is a single elimination tournament that provides substitute teachers extra work during the summer months. The first two iterations were held under SCFL Kickboxing rules, but this year, pro wrestling rules the roost. Since the field is set at 12 entrants, this week’s SCFL show will only have the Substitute Series and the contractually obligated Dot TV title defense. Brand new champion Karate Hendrix makes his first defense against the bizarre performance artist, Kurt King. 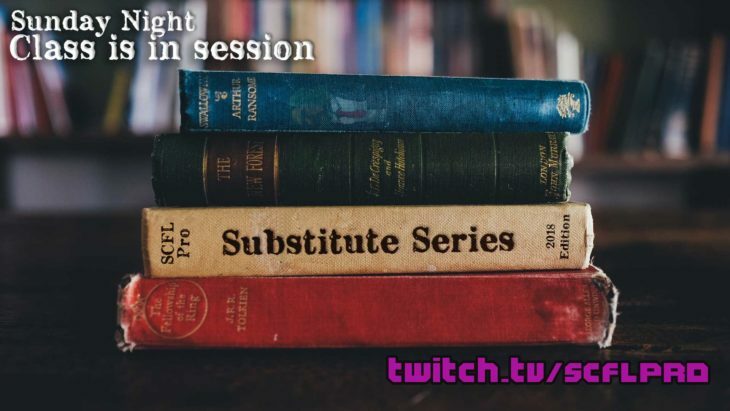 Check out twitch.tv/scflpro on Sunday night at 10 PM ET for the greatest in substitute teacher action.